Decluttering can make your move enjoyable! 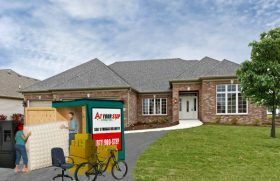 At Your Step Storage offers affordable storage in the Bay Area for anyone looking for an easy storage solution. Decluttering your home is always a good idea, but it is especially important when you’re planning a move. After all, do you really want to move piles full of old papers and clothes that no longer fit to a new location? You may even find items you can sell online to make extra money or donate to a worthy charitable cause. The process may not be easy, but it will certainly feel rewarding once you finish. Consider renting Bay Area affordable storage to make the process easier and more organized.